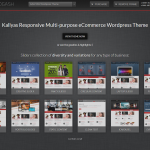 Kallyas is a highly responsive, extremely customizable wordpress theme built for today's websites. 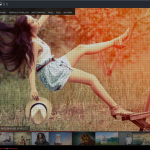 Karma was built to be an incredibly user-friendly theme with a small learning curve. 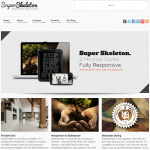 SuperSkeleton is more than a Wordpress theme. It's a completely comprehensive HTML5 framework which includes a full templating system as well. 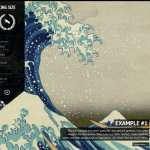 It contains a collection of several incredibly powerful scripts and CSS structures. 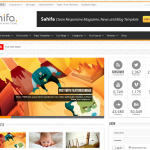 Sahifa is a completely clean responsive magazine, blog & news template . Striking is a highly customizable extremely flexible eCommerce ready premium wordpress theme. Modernize is a new era of wordpress theme. 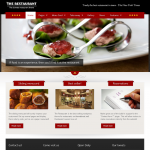 Discover many new features with this theme. Invictus is an easy to use, extremely versatile word press theme built mainly for photographers with a fully responsive design. The perfect multi-purpose wordpress theme ideal for Artists, Bloggers, Businesses, Designers, Photgraphers & more. 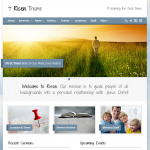 Risen is a Wordpress theme that has all the features a church/non profit website needs.